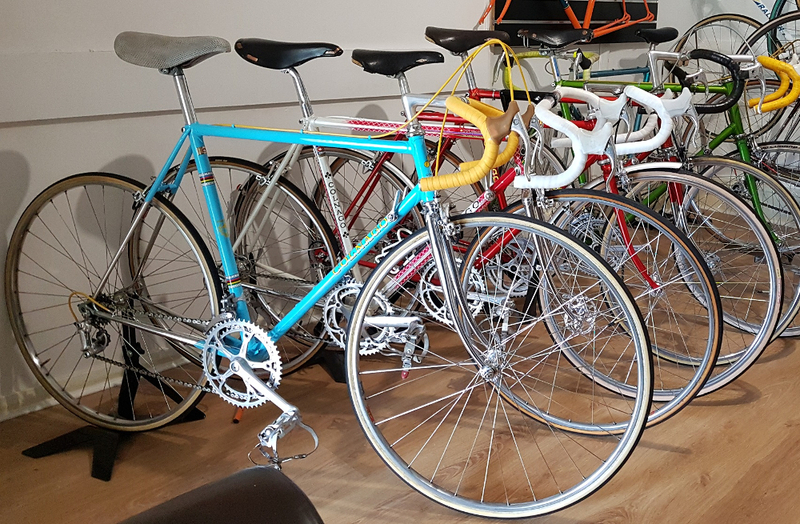 Whether you lust after a 1973 Colnago “Super” with period correct Campagnolo Nuovo record groupset or a Classic 1978 Raleigh Ilkeston SBDU team frame with First Gen black Dura Ace groupset or something completely different…. If you can dream it, we can build it! With our Eroica ready and Vintage Steel frame bikes. We love making dreams come true. One of our customers had a 4-inch faded magazine cutting of a Raleigh Rapide that had been on his bedroom wall from when he was a young boy. Now as a middle-aged man, he came across his first love in our vintage room, ready to roll, a lifelong dream fulfilled! 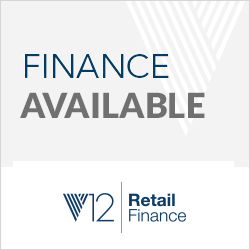 We can supply complete bikes or most makes of frames and groupsets in fantastic condition to sell individually or to build into full bikes. We specialise in restoring your old race or touring bike and bringing “Garage finds” back to their former glory (and better!) so dig out your old classic and let “Life on Vintage wheels” turn the clock back for some old school cool! You will then have the perfect classic for those summer day bumbles. 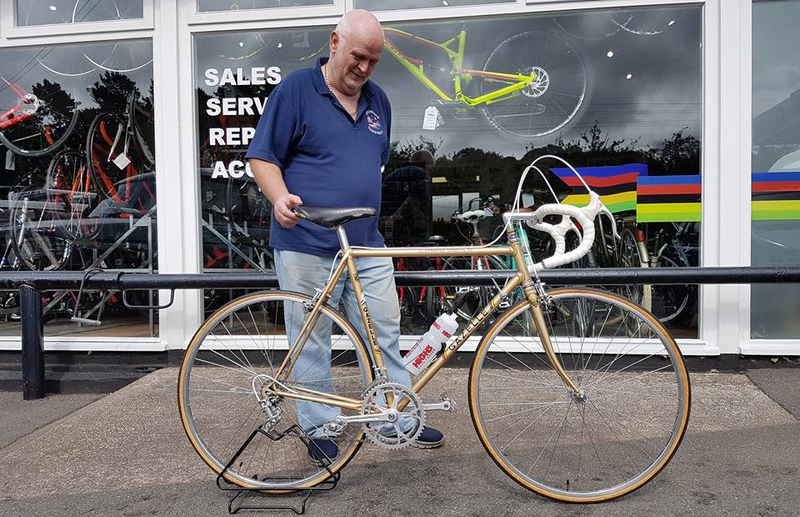 "A very happy customer collecting his 1979 Gazelle "Champion Mondial" with full period correct Campagnolo Nuovo Record groupset. This Reynolds 531 tubed vintage race bike rides like the wind and is truly a piece of mechanical art. Enjoy Brian and thank you for letting us supply your dream bike!"